It's plum season and our trees are loaded. 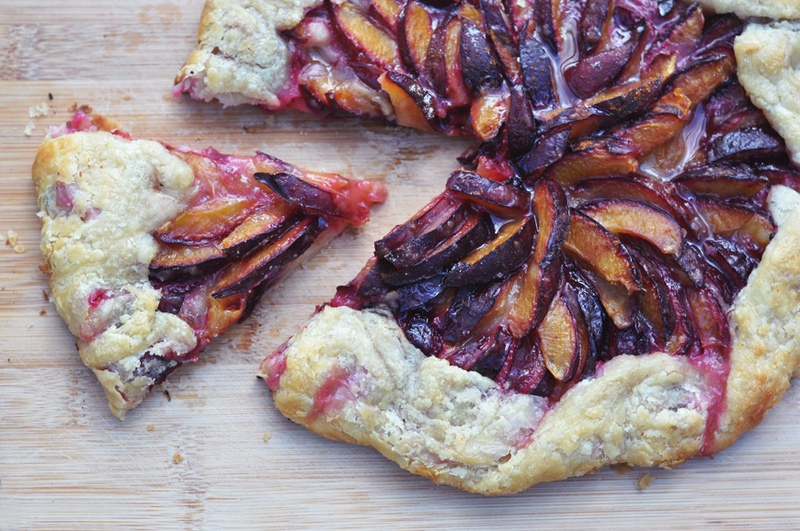 We've been making plum pies galore, but this time around I wanted something fresh but slightly different (don't fool yourself, it's just a pizza pie). My thoughts on making pie dough: it's a magical thing, that usual turns out alright, but one day you feel extra special while making it and it turns out ridiculously, pastry shop worthy, perfect. 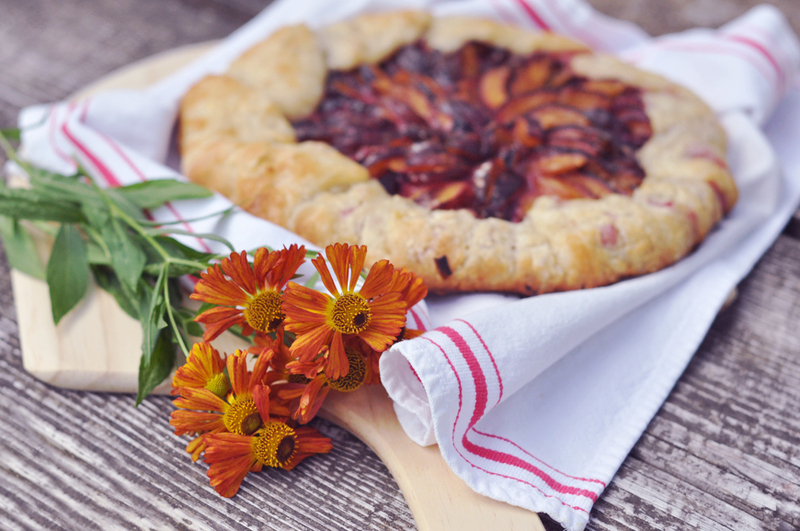 For me, this galette was made on one of those days. My little brother compared it to tarts in Swiss pastry shops. I've had my fair share of duds, so obviously, I was quite pleased with myself. I will attempt to explain what I did that made it especially perfect, but like I said above, it was just one of those magical moments where it all worked out. My connection with the dough I was making was just right. • Mix dry ingredients for pie crust. Cut in butter with pastry cutter, until grainy. Add water and gently mix by hand. Put in a sack and refrigerate. • Mix filling ingredients together. • Roll out dough. And place on cookie sheet (I forgot to and it was a mess moving the whole thing with filling to the cookie sheet). 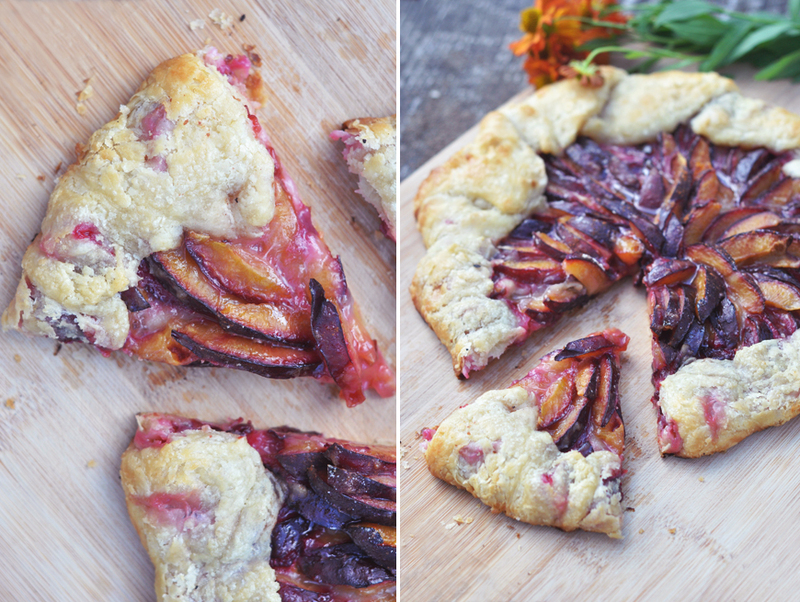 • Place the plums centered on the dough, in a fan-like arrangement. If you are not the patient type, you can just pour them neatly into the center. • Fold the edges over like pictured below. • Spread half and half over crust edges and sprinkle with a small amount of sugar. • Bake for 10 minutes on 400º and then 20 minutes on 375º. 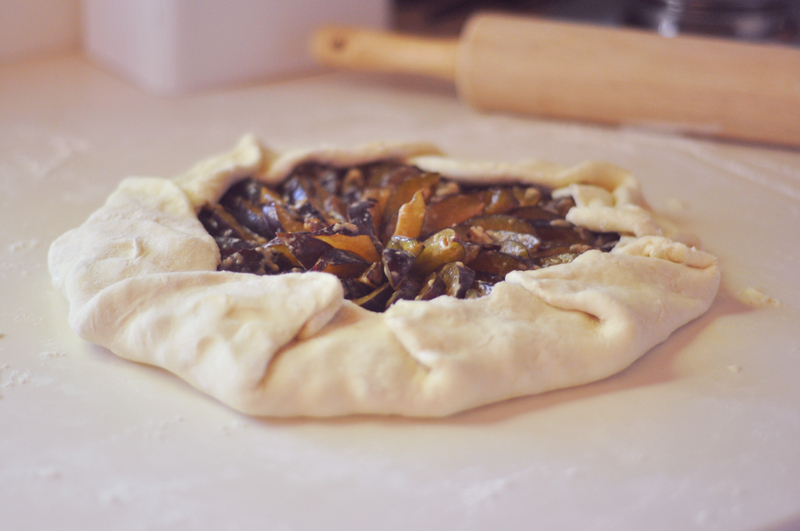 Baking at a higher temp for the first 10-15 minutes ensures that the crust cooks fast instead of melting out of shape.